Uttarakhand Transport Corporation Recruitment 2016: The Government of Uttarakhand, Transport Corporation has been announced the notification to recruit the post of Driver jobs. There are nearly 300 vacancy. 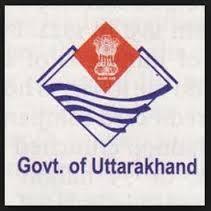 The applicants who are waiting for the latest govt jobs in Uttarakhand can apply the UTC jobs 2016. The interested candidates must check the eligibility criteria on the Uttarakhand Transport Corporation notification 2016. The eligible applicants can download the UTC application form 2016 on the official portal www.utc.uk.gov.in. You can also get the direct link for the Uttarakhand Transport Corporation application form 2016 and advertisement on our Indajobinfo.co.in site. The aspirants must fill the application in prescribed format. The ineligible candidates will be cancelled without any prior intimation. so the applicant must refer the UTC notification 2016 before apply the application form. Name of the Organization: Uttarakhand Transport Corporation (UTC). Total No of Vacancy: 300 Jobs. Category Name: Uttarakhand Transport Corporation Vacancies 2016. The aspirant should have an age limit not less than 18 years and not more than 42 years as on 1st January 2016. Age relaxation will be applicable for the reserved candidates (SC/ST) as per the govt norms. The applicants who have pass the 8th class exam from any recognized board of the school can eligible to apply the UTC recruitment 2016. The general candidates need to pay Rs. 200/- for the application fee and Rs. 100/- for the application fee. Note: Pay the application fee in online or offline mode. The shortlisted applicants will be getting the monthly salary Rs. 5200/- to Rs. 20200 plus grade pay Rs. 1900/-. You will redirect to the official site www.utc.uk.gov.in. Read the UTC recruitment notification 2016. If you eligible, click on the application form. Note: Post the UTC application form 2016 along required documents to address mention in the notification before the June 20th 2016. End date of application submission: 20.06.2016. Uttarakhand Transport Corporation Driver Recruitment Notification 2016. UTC Driver Jobs Apply Online 2016.